Two villagers are standing in the by-election for the vacancy on Adderbury Parish Council following the resignation of vice-Chairman Chris Shallis. 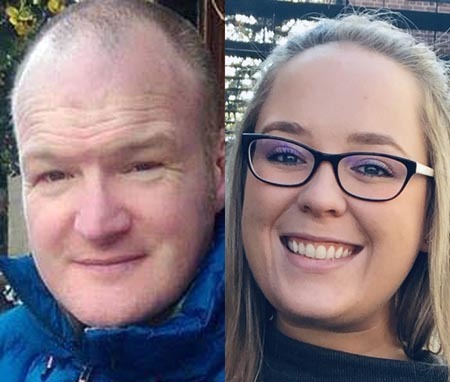 Iain Corcoran, 46, and Victoria Head, 28, will both be seeking support from villagers at the polls on Thursday February 21st. The by-election follows a request by ten residents for a formal election to be held, rather than co-option by existing Councillors. Both candidates live in West Adderbury, with Mr Corcoran residing in Henge Close and Miss Head in Partridge Court. Official documentation from Cherwell District Council indicates that Mr Corcoran was nominated by Stephen Betts and current Parish Councillor Colin Astley; Miss Head was nominated by Val Scarff and current Parish Councillor Keith Mitchell CBE. Over the next few weeks both candidates are likely to reach out to villagers urging their support. Mr Corcoran told Adderbury News, “My wife Stephanie and I moved into the Nicholas King development on Milton Road just over a year ago. We love this beautiful village and the idyllic Oxfordshire countryside in which we both take long walks with our Frederick (Hungarian Vizsla) . On the Statement of Persons nominated Mr Corcoran has identified traffic calming as “essential” for Adderbury. Miss Head told Adderbury News, “Having lived in the village for the best part of 20 years, I have seen a lot of growth and change. I am standing in the by-election for Adderbury Parish Council as I believe that we are now at a point where we need to develop our village to offer the facilities to enable us to thrive in a sustainable way". “Having spent a couple of years living away from Adderbury, I now rent a property in Partridge Court with my partner Dean and am really excited about the potential opportunity to help to continue efforts in keeping our village great. I think it is essential that Adderbury Parish Council is a committee that represents all areas and groups across the village, and believe that with the network I have built over the years, along with the fact that I represent an age demographic currently under represented on the Parish Council, I would be an ideal candidate”. Polling day will be Thursday 21 February 2019, and voting will take place at Adderbury Methodist Church.